MEDEA Vodka is the best example of a real innovation, combining outstanding quality with the latest innovations in technology. Distilled in one of the oldest distilleries in the world in Schiedam, Holland, this super-premium grain spirit made from pure artesian water is bottled in an exceptionell bottle that has an interactive feature unique to the sprits industry worldwide. 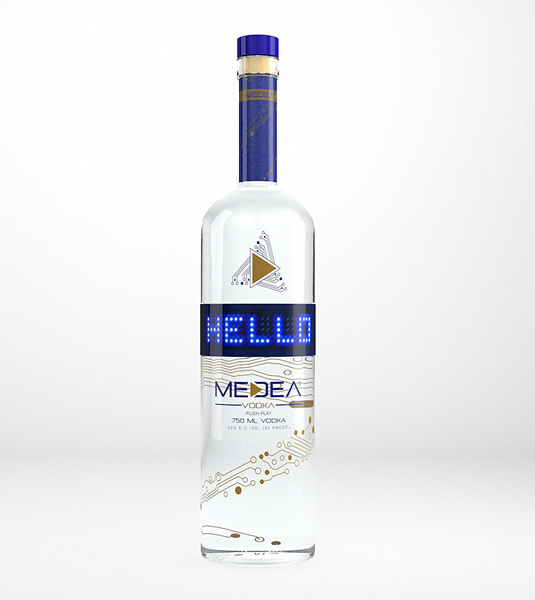 Its patented LED technology allows the user to program the bottle with a personalized message very simple via the MEDEA App. As the world´s only personally programmable bottle, it is a great gift for everyone. Therefore it is the perfect item for Travel Retail. More on www.medeavodka.com.